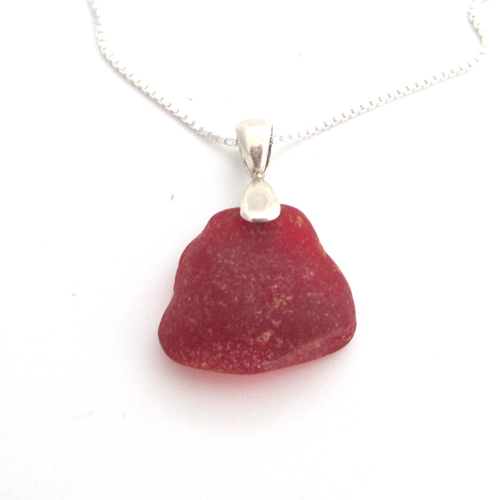 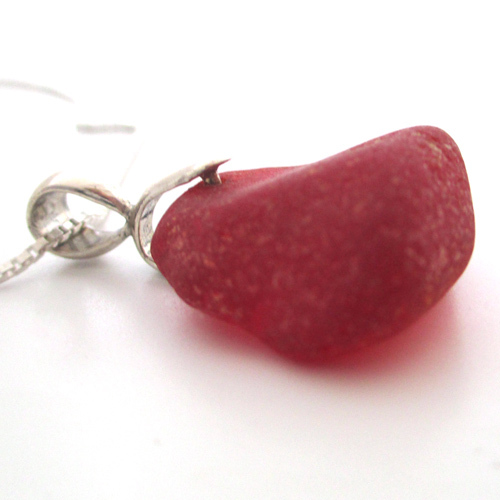 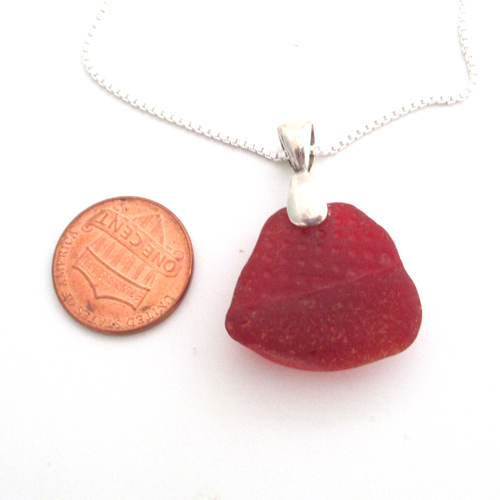 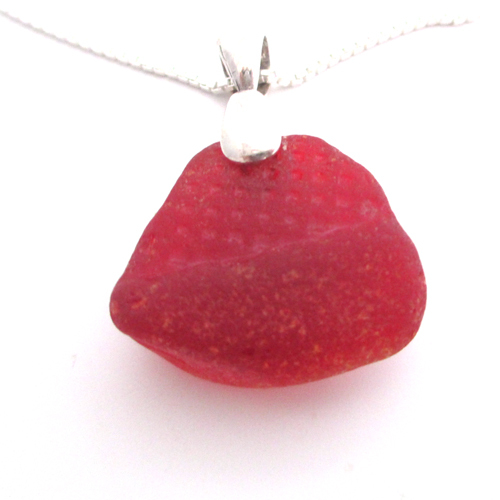 This piece of red sea glass was found in Northeast England and measures approximately 3/4 inch long. 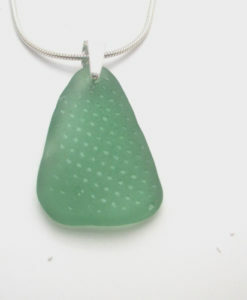 The sea glass is 1/4 inch thick and has a dotted pattern on the front side. 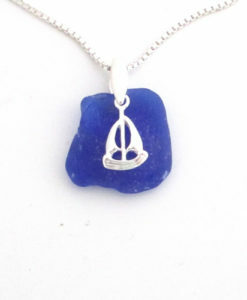 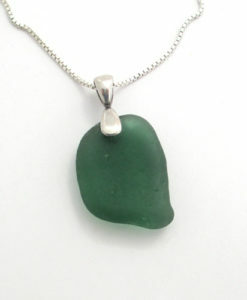 The sea glass is finely drilled and is securely set with a sterling silver bail. 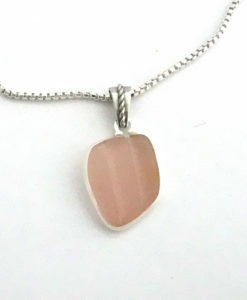 The necklace is a 1.25 mm box chain. 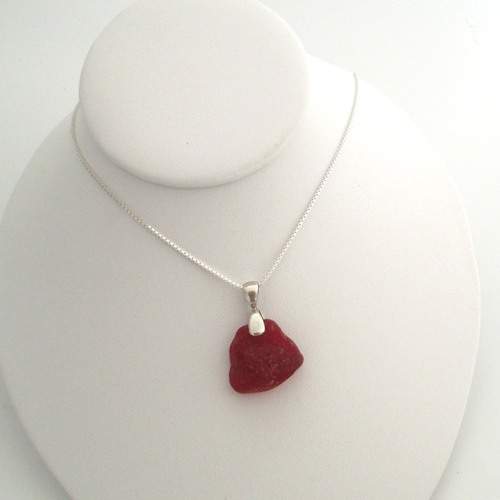 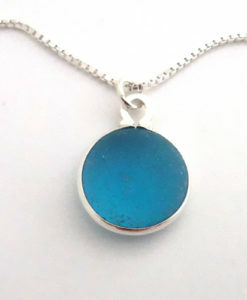 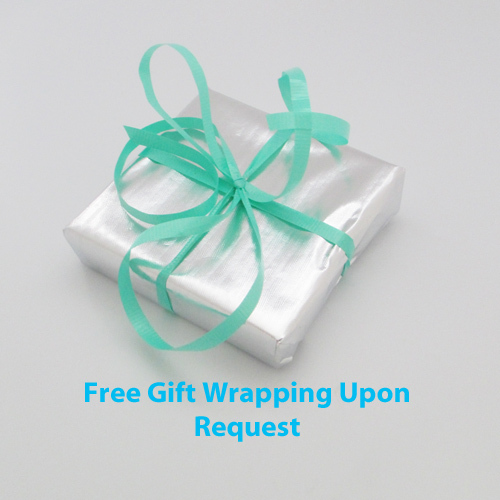 The pendant can be purchased without the chain for $50.